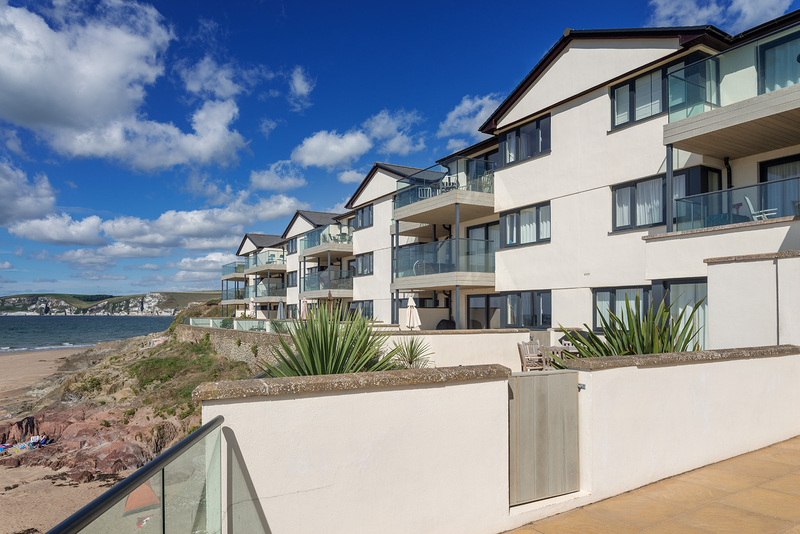 Our clients needed an architect in Bigbury on Sea, Devon to provide them with a Full Architectural Service for their New build flats and maisonettes. 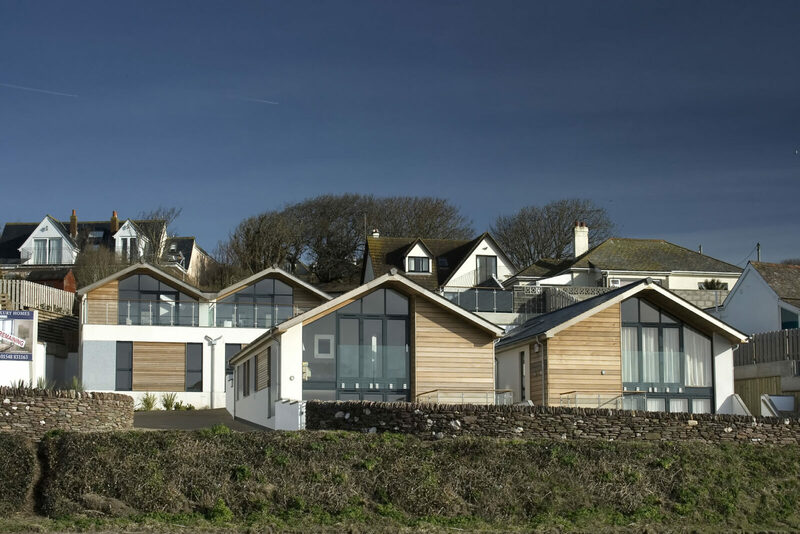 Two 1960’s bungalows have been demolished to make way for 4 new contemporary houses on a spectacular site, overlooking Burgh Island. 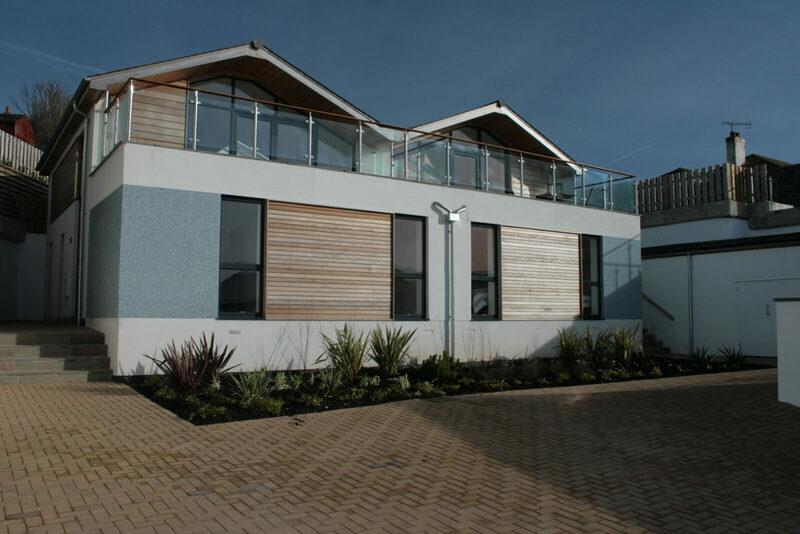 The two storey houses are finished in western red cedar, white render and reflective glass mosaic tiles. 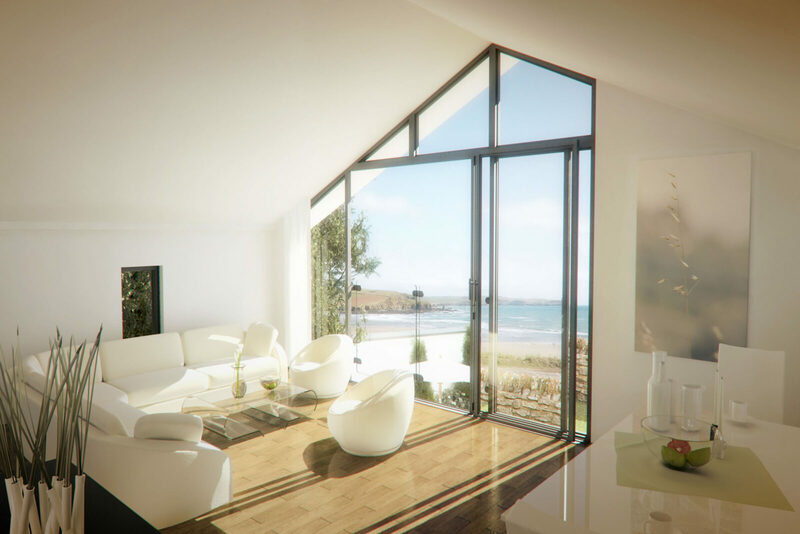 Full height glazing to the living rooms maximize the sea views with each unit boasting a large, raised private terrace. 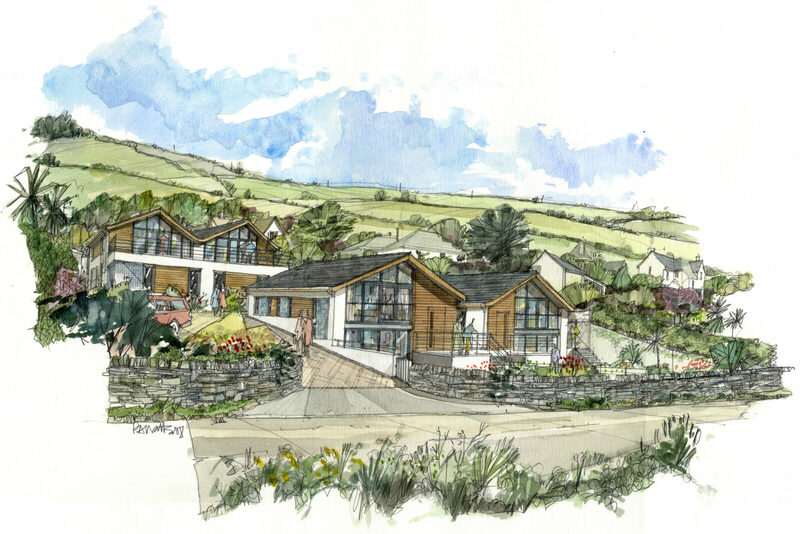 South Hams District Council approved the planning application without going to local Committee. The project was completed in 2010 and received a nomination for the 2010 LABC Building Excellence Award.